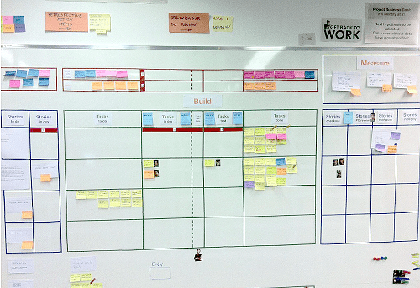 We know Kanban and Scrum as Agile management methodologies. Scrumban combines the best features of both methods. It joins the prescriptive nature of Scrum and the process improvement capability of Kanban, allowing teams to move closer towards Agile development and to constantly improve their processes. Scrumban is becoming especially popular in industries in which project development and maintenance go together. Scrumban evolved from a Scrum instance supplemented with core Kanban practices. These are: visualization, work-in-progress limits, workflow management, and keeping explicit policies. - Start with the ceremonies, boards and roles you use now. - Agree to pursue improvement towards a more effective process. - Respect current roles & responsibilities while aiming to easily improve them. Are you considering implementing Scrumban in your team or business? You should particularly take it into account if you are doing any of these: project maintenance, event-driven work (support, hardening), problematic projects management (projects with unexpected user stories and bugs), new product development (work preceding sprint development or following sprint development) or continuous management improvement. 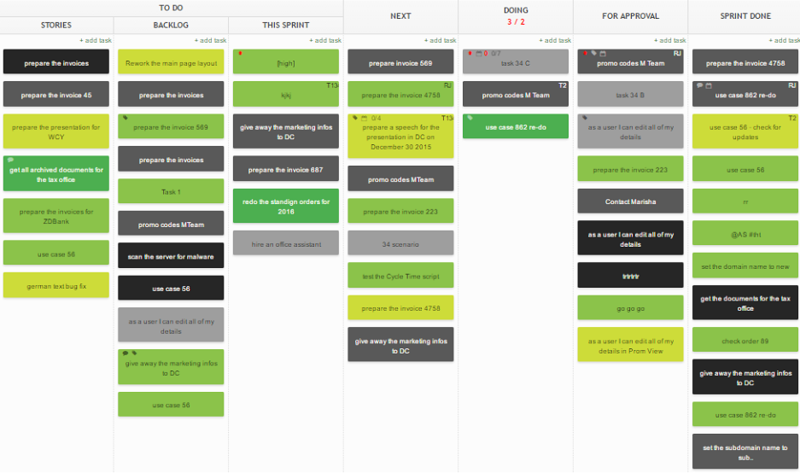 Scrumban board gives you an excellent overview of a process workflow. It informs about the number of items the team is currently working on, as well as about the number of tasks already finished. It boosts accountability, responsibility, communication and performance results. Scrumban tools - such as Kanban Tool - are easy to learn and use. Kanban Tool provides Power-ups that help you customize and fine-tune your boards. It allows you to communicate and collaborate in real-time, any time and anywhere - by sharing tasks, notes, documents and comments. Kanban Tool is a web-based task board, that helps teams to spectacularly increase their productivity in line with Scrumban methodology. Do not miss the opportunity to jump ahead of your competition. Start a free trial now.